The name originates from the old English for ‘enclosure or river meadow where birch trees grow’ and was mentioned in the Domesday book as Bercheham although the first written reference is of Beorchamme in a Saxon charter dated 952 AD. Barkham is situated 2 miles (3.2 km) south-west of the centre of Wokingham in Berkshire and has a population of approximately 3500 people. The oldest part of Barkham is the small area by the parish church, with building dating from the 15th century. 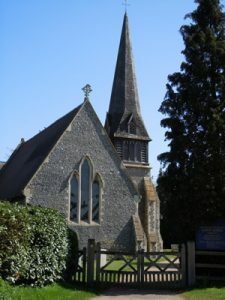 The church was originally 14th century in date and made mainly of wood but was rebuilt in 1859-1861 at a cost of £1,400. Most of the population now lives in the north-east of the parish. During the reign of King Edward III the income from Barkham Manor helped to pay for the rebuilding of Windsor Castle and shortly afterwards, timber from Barkham was also sent to make the roof of Westminster Abbey. The Bull Inn at Barkham is named after the Bullock family who were Lords of the manors of both Barkham and Arborfield for several centuries. When in Barkham, they lived in Barkham Court once surrounded by the old moat next to the church. Barkham today has a thriving community and is famous for its Barkham Blue and Barkham Chase cheeses. 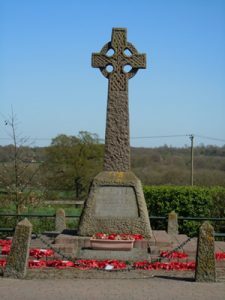 The village of Arborfield is centred around the Arborfield Cross junction which is about 4.5 miles (7.2 km) south-east of Reading and about 4 miles (6.4 km) west of Wokingham. The village is on the A327 road linking Reading with Farnborough and is in the civil parish of Arborfield and Newland. Arborfield is probably best known for the army base of Arborfield Garrison, the headquarters and training base of the Royal Electrical and Mechanical Engineers corps of the British Army, although the Garrison is actually about a mile the other side of Arborfield Cross and is mostly in the parish of Barkham. The parish also includes the Bear Wood estate, with its extensive woodland and 40 acre lake. The Victorian mansion on the site was formerly the home of John Walter, who started The Times newspaper in 1788 (originally called the Daily Universal Register) and is now occupied by Bearwood College. 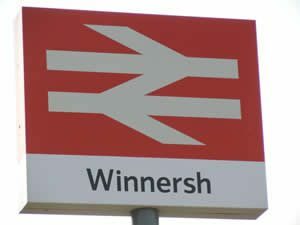 The name Winnersh comes from the old English Wenesse which means ‘ploughed field by a meadow’. Up until the coming of the railway, Winnersh was primarily a rural area and in 1841 the population was only 673 (now it is over 9,000). The South Eastern Railway built the North Downs Line in 1849 but the Winnersh station was not opened until 1910 and was originally called “Sindlesham and Hurst Halt,” it wasn’t until 1930 that the station was renamed Winnersh Halt. 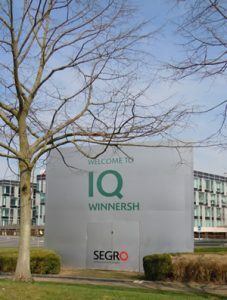 The parish now has two stations on the Reading to Waterloo line, Winnersh and Winnersh Triangle, the latter which serves the Winnersh Triangle Business Park, now called IQ Winnersh, which is the major non-residential development in the Borough in recent years and occupies a site of about 50 hectares. It is also within easy access of the M4 motorway and several multi-national companies have offices there. The “Winnersh cross-roads” is at the centre of the area today and it forms the junction of the A329, the Wokingham to Reading road and the B3030. (King Street Lane towards Sindlesham and Robin Hood Lane towards Hurst). The area boasts a large supermarket, DIY and auto-product stores a post office and a range of small shops and commercial outlets. 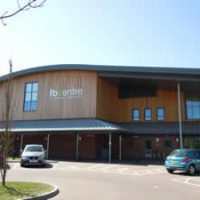 There is also a multi-screen cinema and a health club as well as several public houses. Situated south-east of Reading and adjoining Winnersh village. 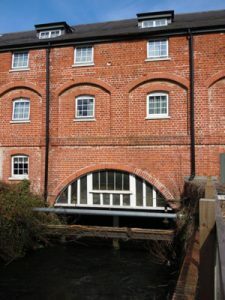 Often called ‘Sinsham’ in times gone by, it is probably best known for its Grade II listed watermill which, used to be owned by the Simonds family and was active until the late 1960’s when it was producing flour for Huntley and Palmers. Externally, the Mill is largely unaltered, but several additional buildings have been added to create the Hotel complex and the bar which we can see today. The old church in Sindlesham was built by Robert de Sindlesham, in 1220. This building has, however, long disappeared and Sindlesham has since been served by St. Catherine’s at Bearwood. A new chapel was built near the Georgian Sindlesham House in 1964 on the site of the original manor-house, it is now the headquarters of the Berkshire Freemasons. There is also a Baptist chapel on the corner of Bearwood Road which was built in 1881. Finchampstead is situated to the north of the Blackwater river about 2 miles (3 km) south of Wokingham. It is a beautiful wooded parish with a network of footpaths covering over 30 miles. One of the most famous areas is the Wellingtonia Avenue planted in 1869 as a monument to the 1st Duke of Wellington. The Nine Mile Ride, which was constructed by George III, also cuts through the parish. The Norman church of St James was built on the site of a prehistoric encampment and there are remnants of a Roman earthwork surrounding it. Nearby there are also traces of a Roman road called the ‘Devil’s Highway, which linked London to Silchester ten miles to the west of the parish and in 1841 a mile stone marking the road was discovered in the garden of a house called Banisters. In medieval times the whole of this area formed part of the Royal Chase of Windsor Forest. Today, most of the housing is at California in the north of the parish. 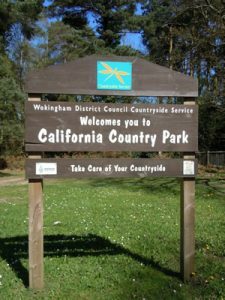 It is a large residential area adjacent to Longmoor Lake in California Country Park and the Longmoor Bog Nature Reserve. Finchampstead Ridges is a local beauty spot of unspoilt common and heathland shaped during the last ice age. It offers fabulous views over the three counties of Berkshire, Hampshire and Surrey. The Ridges along with Simons wood are now owned and managed by the National Trust. In Warren Wood, an area situated between Nine Mile Ride and Warren Lane, there is a large bell barrow which is a scheduled ancient monument dating back to between 2000 and 1300 BC and is the largest example of its kind in Berkshire. On Fleet Hill there is a spring known as Dodwell’s (or Dozell’s) Well, which was named after St. Oswald, King of Northumbria in 634-641. In 1098 he travelled through the village on his way to Easthampstead. Feeling thirsty he prayed for water and the Holy Well miraculously sprang up. It became famous in the early middle ages for flowing with blood during times of national disaster and it was also said to cure many ailments, in particular, eye complaints. The well was unfortunately destroyed in 1872, however, there is still a constant trickle of water on that spot. As a consequence of dividing the manorial lands of the lord of the manor, William Banister, between his two daughters in the late 13th century, there existed two manors in the parish. East Court situated near the church, of which only a 17th century wall remains and West Court which still stands today. 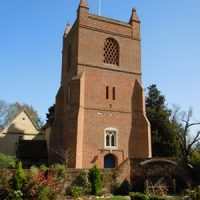 Up until 1835 it still had a moat and a drawbridge, which were unfortunately removed by the local vicar, Rev. Ellis St. John, during its restoration. 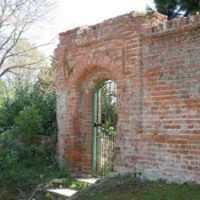 There is also a sub-manor still existing in the parish called Banisters which, was built in 1683 on the lower slopes of Fleet Hill.